Public Safety Canada has thirteen regional offices across the country located in all provinces and in the North. 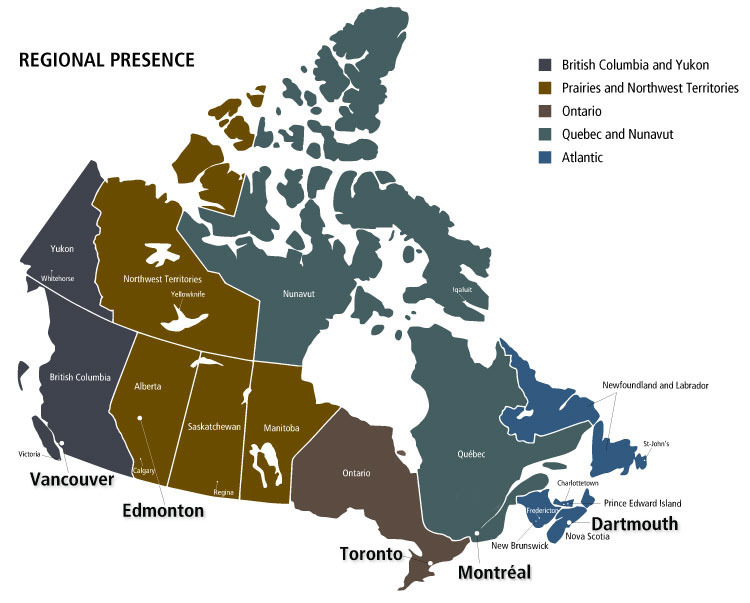 They are organized into five regions: Atlantic, Quebec, Ontario, Prairies, and British Columbia and the North. Our regional offices are the primary point of contact for the Department at the regional level. They provide support to departmental policy, program and operational areas across the organization, delivering core programs at the regional level, providing regional input and perspective, and supporting the coordination of federal responses to emergency events. Their networks of partnerships with provincial and territorial officials, other federal departments and agencies, and diverse communities and stakeholders, are essential to the Department's work.